PickOne: April 2012 Weave Class. 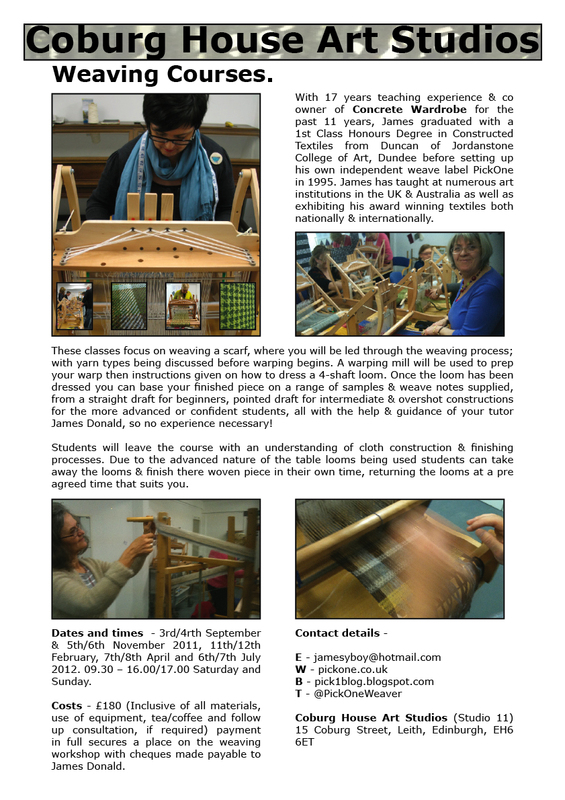 The April weave class at Coburg House Art Studios is fast approaching! All information to book onto this course is here on this poster. Places are limited to 5 students per class. If you require more information please feel free to contact me, using the contact details documented on the poster. Labels: April 2012 Waeve Class, Weave Course Information.